What do you do when you toss and turn all night? Get up and read. I’m still reading Wild Things: The Art of Nurturing Boys, but it was starting to give me panic attacks so I needed to take a quick breather. I grabbed a short book (184 pages) from the shelf for a distraction. 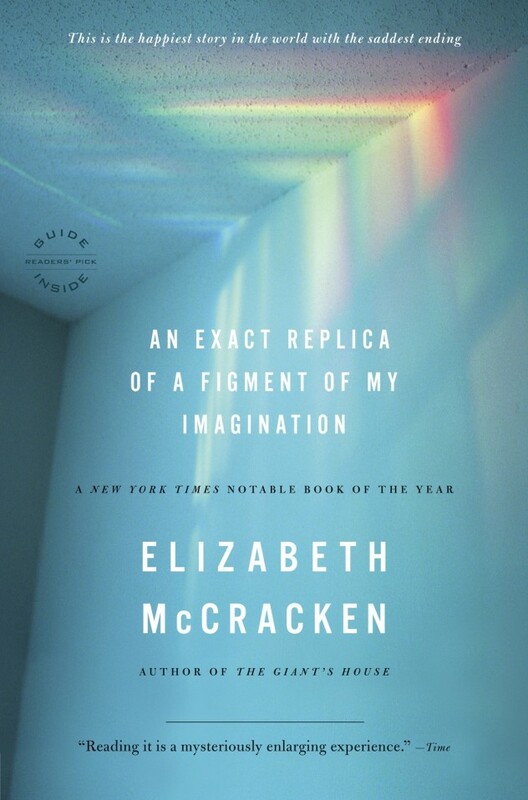 Elizabeth McCracken is an established novelist and in 2003-ish (if my math is right, which it probably isn’t), she met and married a fellow writer, an Englishman named Edward. She was in her late 30s at the time, content with her unmarried status and succeeding in her career. After she and Edward married, they toyed with the idea of making a family. In 2005 that conversation became concrete when Elizabeth discovered she was pregnant. They were living in Paris at the time, living a Hemingway life. Living simply, writing all morning, perusing markets and cafés in the afternoon, drinking cheap wine. And then there were three, at least, two out walking around and one in utero. They were happy. They moved from Paris to Bordeaux. They called him Pudding. She went a full forty weeks and then an extra. Bliss. Then, the baby’s heartbeat went missing. His life was clipped. Pudding was stillborn. I will tell you, because Elizabeth tells us right away, that she wrote this memoir with a baby – their second baby – sleeping soundly in her lap, born just one year and one week after Pudding died. Can’t imagine? Me neither. But this memoir is written so beautifully that it’s a must-read for all of us, whether or not we are parents, whether or not we’ve experienced this sort of loss. We need to grapple with this level of pain if only to give us a small snippet of perspective into someone else’s pain. I have never been pregnant, so the loss of child in this manner, or any manner really, is not an experience I know first hand. Let me be clear on that. And I hesitate to draw parallels between calamities and heartache because no two are the same. However, I recognized her bitterness in one particular part of her story. Or rather, I resembled it. Just as Elizabeth looked at other pregnant or freshly unpregnant women with searing bitterness in reflection to her own pain, so did I look at pregnant women just after we were told of our infertility. I hated them all. The same could probably be true of those who’ve just lost a parent and must navigate Mother’s Day or Father’s Day, or someone whose sibling has died and now must endure other people’s photos of a complete living family. What a dark space to dwell – looking at other people’s fullness through the lens of your own loss. None of these situations are the same, but we can all connect in that dark space and offer each other comfort. But I digress. This book is very sad, but it’s necessary to read because life can often be very sad and it behooves us to have wider perspective. Whether it’s navigating our own heartache or tending to the heartache of those we love, we can all learn from Elizabeth and Edward’s experience to choose our words and actions carefully. Buy An Exact Replica of a Figment of My Imagination here.